As trusted senior advisors, with a thorough knowledge of local senior industry professionals, clients turn to us for comprehensive assessment, advice and guidance when preparing for the future. 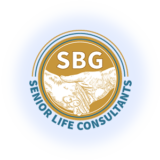 At SBG we believe it “takes a village” to address the many concerns and decisions involved in creating a secure plan. Whether you are facing long term care issues, concerned about asset protection and estate planning, or want access to the financial assistances you are entitled to, we are here to help. We will work side-by-side with you and refer you to appropriate professionals and their offerings, whose services we can utilize to assist you to realize your dreams and plan for your very best future.